Out of the most divided field in recent memory, Donald Trump has emerged as the nominee of the Republican Party. Trump became the nominee because the press, donors, and his opponents did not take him seriously until it was far too late. 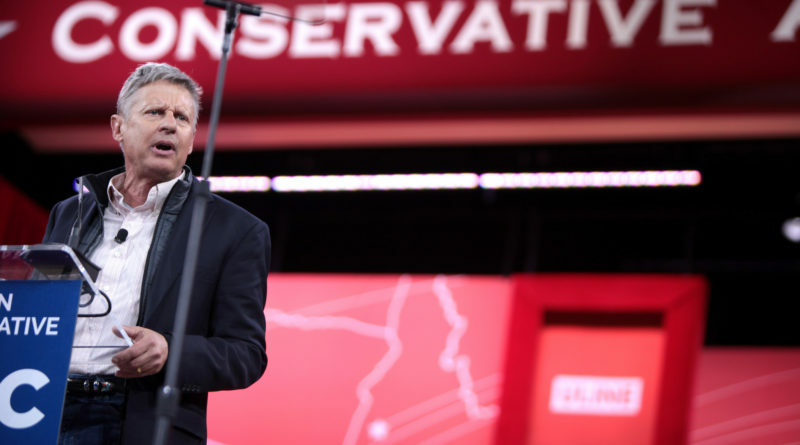 While many conservative groups are now supporting Trump after ridiculing and criticizing him throughout the primary process, we cannot support the Republican nominee. Throughout his campaign, Trump neglected any serious discussion of policy in favor of insults we would expect from a celebrity rather than someone vying to become leader of the most powerful country on earth. Trump somehow got away with rejecting the traditional Republican Party platform of small government, active foreign policy, and free markets in favor of centralized federal power, an incoherent mix of jingoism and isolationism, and economic protectionism. All the evidence shows that Trump does not care about our values except for when he is using them as tools to gain votes. Trump’s policy flaws alone are enough of a reason for us to never support him, but his appeals to the darkest elements of American political discourse are just as dangerous. From Trump’s infamous announcement speech, when he declared that Mexican immigrants are nearly all criminals and rapists, to his assertion that a Latino federal judge is incapable of fairly judging a case due to his Mexican parentage, Trump has shown that he is willing to say anything to get elected with no regard for the consequences. The Republican nominee’s notions of both government and society represent the antithesis of what we understand modern American conservatism to support. It is for this reason that the Swarthmore Conservative Society cannot endorse Donald Trump for President. While the Republican nominee has no track record in government, the Democratic nominee has a long, experienced, and proven record as an inept steward of the public’s trust. Through astonishing feats of political privilege, Hillary Clinton has evaded accountability for misdeeds that would have destroyed the career of any other ordinary American or even politician. She has kept classified material in an unauthorized location, obstructed justice, and destroyed the evidence of her misdeeds. The cash-for-access schemes of the Clinton Foundation and Clinton Global Initiative bear a greater resemblance to the inner workings of a corrupt regime than those of a functioning democracy. From an ethical standpoint Clinton is uniquely unqualified for office. But even from a policy perspective, we believe that Clinton’s vision of government will harm the United States. Clinton’s foreign policy during her time as Secretary of State destabilized the Middle East by creating a power vacuum in Libya and by arming Syrian rebels, thereby aiding ISIS. She also wants to raise taxes substantially and grow government in the process. Clinton’s Supreme Court nominees will turn a balanced Court into a liberal one and ensure that our fundamental rights are never as safe as they should be. It is for these reasons that we cannot endorse Hillary Clinton for President. 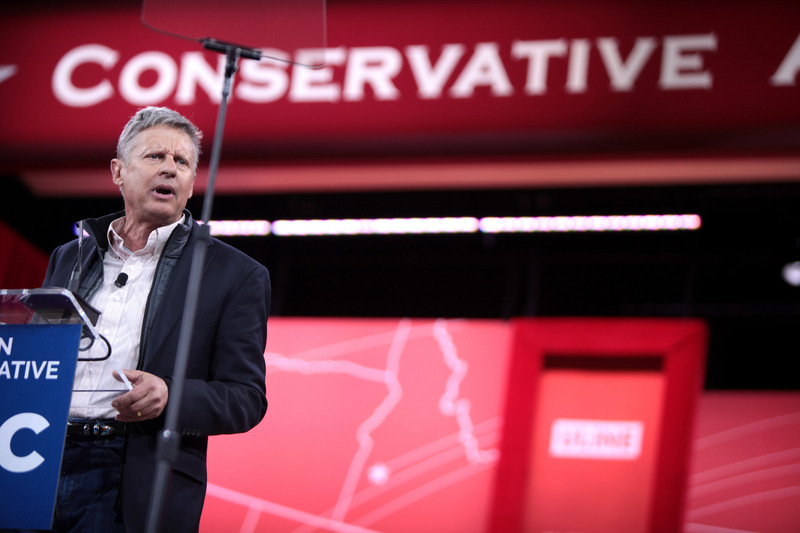 Instead, the Swarthmore Conservative Society is planning to campaign for former governors Gary Johnson of New Mexico and Bill Weld of Massachusetts. Both men were successful two-term Republican governors elected with broad bipartisan support in Democratic states. They both possess excellent executive experience and sterling ethical records. They are also polling at around 10% nationally, making them the most successful third party ticket since Ross Perot. Neither Johnson nor Weld is ideal, we disagree with them on major policy issues like religious liberty, but politics is fundamentally an art of compromise. We are confident in our belief that the Johnson-Weld ticket is far and away the best choice for President in this election cycle. Even though we have our differences, Johnson and Weld agree with us on the most important issues. They realize that government intervention is often the problem, not the solution. They support free markets, unlike every other candidate in the race. And they are dedicated to protecting civil liberties, like our rights to privacy and free speech. To top it off, they are fiscally responsible and socially tolerant, the perfect combination of policies for the average rightward-leaning college student. Both Johnson and Weld have proven themselves honest and competent executives. New Mexico and Massachusetts both enjoyed economic growth greater than the national average during their respective tenures. Both are candidates of unquestionable integrity and sincerity. They refuse to back down from their beliefs, even when faced with hostility, but both are also willing to recognize when they are wrong and adjust their views. Compared to their competition, Gary Johnson and Bill Weld represent the best hope for the United States for the next four years. There are those who tell us that we are wasting our vote on a candidate who cannot win. They tell us that by throwing our vote away, we forfeit our right to have an impact on the election. But the purpose of a vote, your vote, for the Presidency is not to pick a winner. It is to make your choice as a voter known. A single person will not affect the outcome of this election. But the fact that your vote will not impact the result should not discourage you from casting it. In fact, it should give you a blank check to vote your conscience. Our vote is a reflection of our judgment. We would be wrong to hold our tongues and endorse at ticket that we do not believe in. “Lesser of two evils” voting is how we ended up in this position in the first place, using the same logic during this election is not going to solve our problems. If the electorate continues to accept whoever their party nominates, we will end up with many more Trumps and Clintons in the future. Voting third party is one of the best ways to keep the two major parties accountable for their actions when both of them clearly do not represent the will of the American people. In a time when American politics are so dismal, we see one bright spot in Gary Johnson’s candidacy. We wish him the best of luck in the days to come and hope for the biggest upset in American political history. If you are interested in campaigning for Gary Johnson or curious about his beliefs check out the Swatties for Gary Johnson Facebook page. Updates on events and volunteering opportunities will be posted there regularly. Just one thing to add. Anyone who is concerned about their vote helping the opposite party can simply go to Balanced Rebellion and they will match you with a voter from the opposite party who is also voting for Johnson. The old excuse of “your giving a vote to Clinton…or your giving a vote to Trump” is not an issue these days. Excellent endorsement. I look forward to voting for Libertarian Governors Gary Johnson and William Weld for President and Vice-president. They are clearly the better choice: experienced executives, reasonable, believers in the US Constitution and honest. Sounds reasonable…right up until you claim that funding Syrian rebels ended up supporting Daesh. The Daesh pigfuckers are mostly non-Syrian fighters, whereas the rebel groups that the US armed and funded were mostly army defectors and political dissidents. This is a bad thing? Um…what? The current court isn’t “balanced”, it’s polarized. And Alito, Thomas, and the late Justice Scalia have all consistently voted against the fundamental civil rights of American citizens, especially LGBT, lower-class, and nonwhite citizens. This bit is pure right-wing propaganda.